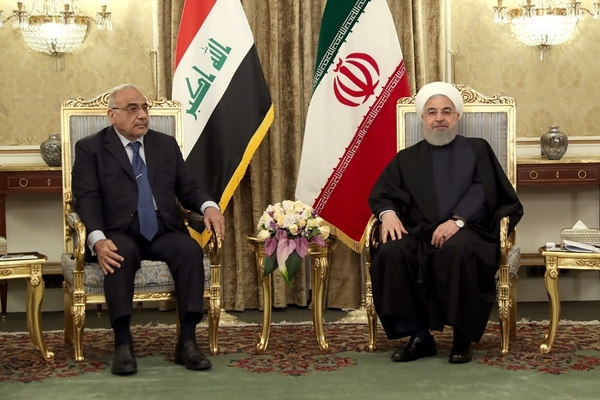 While Iraqi Prime Minister Adel Abdul Mahdi was on a trip to Iran, an informed Iraqi source claimed Tehran had asked the premier to help improve relations between Iran and Saudi Arabia. Abdul Mahdi arrived in Tehran on his first trip to Iran as Prime Minister on April 6, 2019 and sat down with senior Iranian authorities, reported fararu webstie. High on the agenda of the talks was the promotion of mutual economic cooperation. Still, certain Iraqi sources said there were discussions on Baghdad acting as an intermediary between Iran and Saudi Arabia. After Abdul Mahdi’s arrival in Tehran, an Iraqi political source announced that the premier would present a solution to bring the viewpoints of Tehran and Riyadh closer together. According to the same source, Abdul Mahdi’s trip to Iran was seemingly aimed at boosting mutual ties and discussing mechanisms to implement the agreements and memoranda of understanding already signed by the two countries, said the same source. However, the source added, the prime minister would also put forward a solution to ease tension between Iran and Saudi Arabia. On day two of Abdul Mahdi’s trip to Iran on April 7, 2019, another Iraqi source privy to the details of the premier’s trip said in an interview with baghdadtoday.com that Iran had asked the Iraqi prime minister to rectify Iranian-Saudi relations through a three-way meeting attended by Iran, Saudi Arabia and Iraq. Abdul Mahdi is to travel to Saudi Arabia in the coming days. According to Iraqi sources, the state of Baghdad’s mediation between Tehran and Riyadh will be clarified after the prime minister’s trip to Riyadh.